Kendall Klingbeil is an artist of seemingly unlimited versatility. Her landscapes, abstracts, still lifes, murals, portraits of people and animals are enthusiastically embraced by collectors. The "New York Times" describes her as an "energy painter whose works make people feel good." Some of Kendall's patrons have included; John Lennon and Yoko Ono, Richard Gere, Dr. Robin Cook, and Lord and Lady Walton. Her work sets the scene in the Plum Tree in New Canaan, Ct, various restaurants throughout the area and recently the setting for the Gala," Moonlight and Madness " for the Silvermine Art Guild . In the past several years she developed a following among collectors who found new delight in her work when she shifted from painting on walls to painting on canvas. Recently Kendy opened a studio gallery in Pound Ridge,NY. The address is 23 Westchester Avenue, 914 764-3577. It's called Kendall's Studio Gallery. She is also showing other artists' work. Already people are calling it a magical, enchanting place. Please call for hours or an appointment! Instruction is available as well! Currently Kendall is creating her third set for the non-profit organization, "Magical Music for Life". They perform musicals created by Carter Norton from New Canaan. These shows travel the area raising money for special needs children. They even have an event in Times Square, and on the White House Lawn for their Easter event! Camerata d'Amici on March 8th. Check out their website! 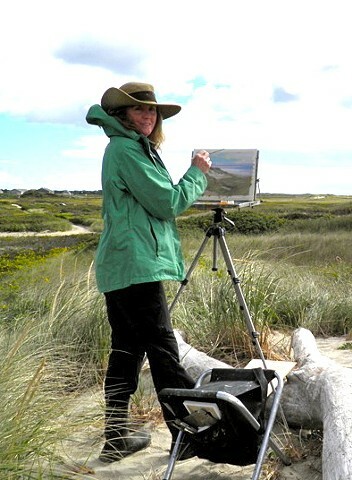 Her award-winning work is exhibited in art galleries across the country.